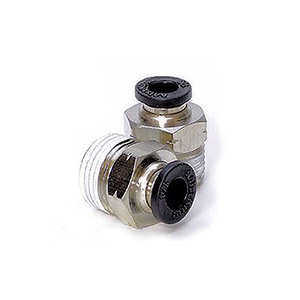 Replacement fitting that can be used on any MistKing Starter or Ultimate pumps. 3/8 NPT male on one threaded end and 1/4 push to connect fitting on the other end. Made of nickel plated brass, this fitting is highly durable. Push to connect for easy tube removal. Do not purchase this fitting for Advanced pumps.